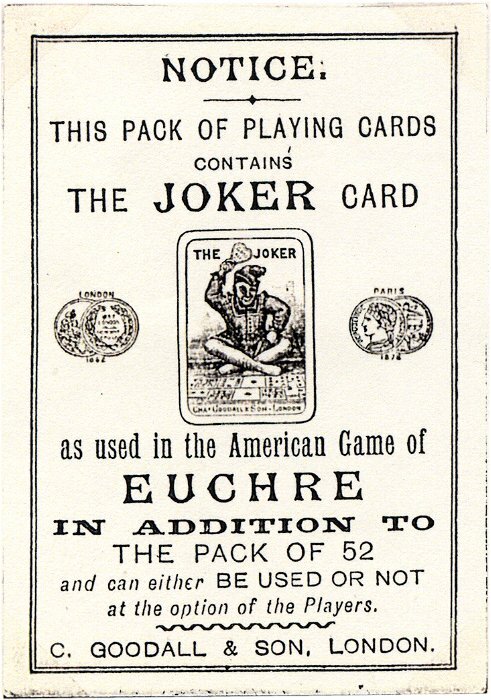 The extra Joker card is believed to have been invented by American Euchre players who, when modifying the rules sometime during the 1860s, decided that an extra trump card was required. Originally he was called The Best Bower and then later The Little Joker or The Jolly Joker. It was around this time that other innovations and improvements started to appear, such as rounded corners replacing square and various types of corner indices. 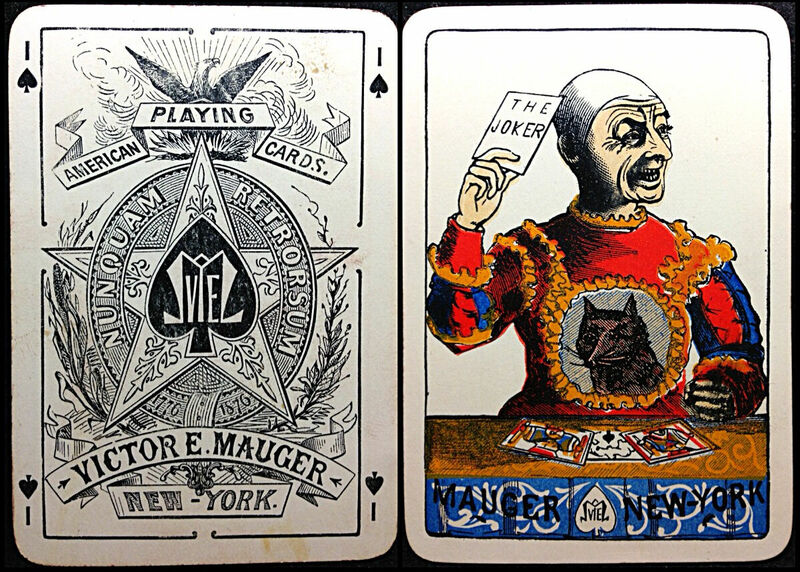 Above: early 'Bower' cards and Jokers by American manufacturers produced during the 1870s-1880s. Many of the images resemble clowns or jesters, not always ‘Jolly’; sometimes they appear slightly sinsiter! 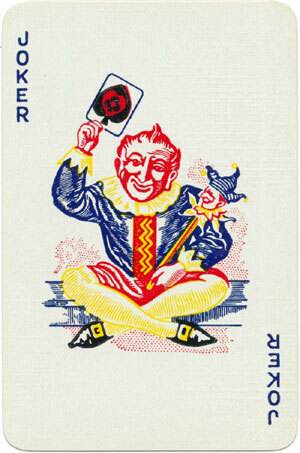 The Joker card is capable of almost anything or almost nothing, depending on the rules of the game. It has been suggested (Dianne Longley, 1999) that the Joker is the ‘wild-card’, or the card of opportunity, not unlike the ethos of opportunity and individuality that has been the driving force behind America's pursuit of greatness. Some historians have seen the Joker as a descendant of the Fool of Italian tarot cards, and in some 19th century tarot sets the Fool was depicted as a harlequin or buffoon. To see a further selection of Jokers, please click here →.